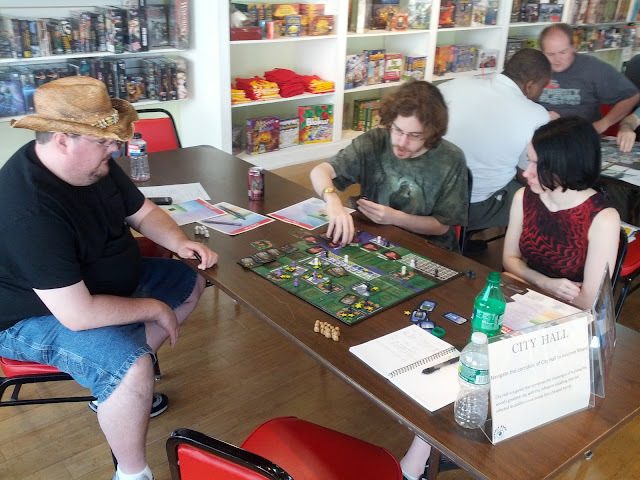 The Unpub Mini last Saturday went well. 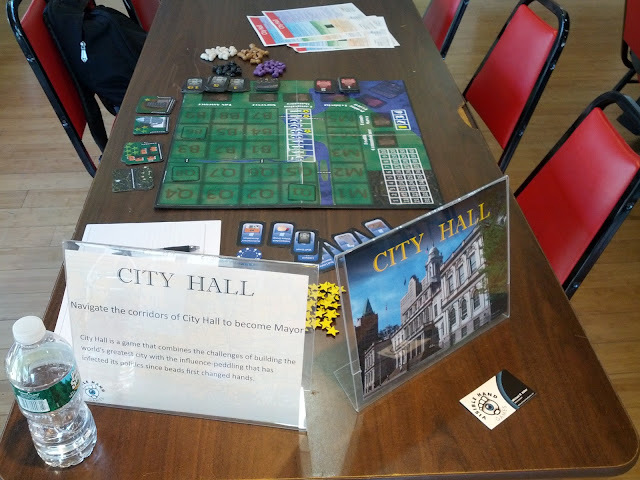 Three groups played City Hall. One of them said they would play again, but weren't excited by the game. 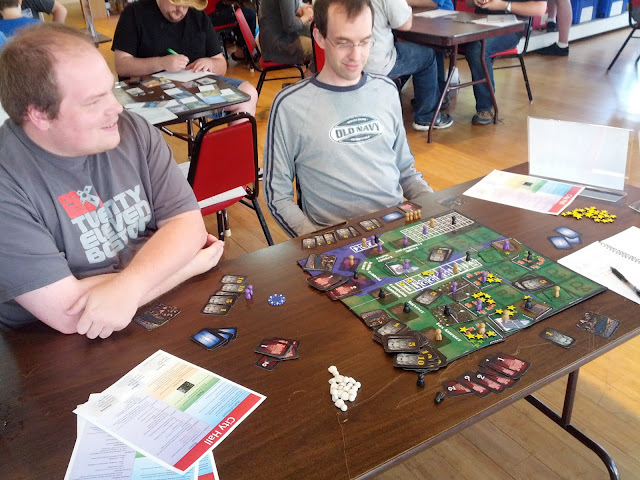 However, the other two groups were more positive, including a couple of people who were highly enthusiastic about the game. The run-up to the game's DexCon debut has been exhausting, but I'm excited. I also got to meet a few other designers, including T.C. Petty III of VivaJava fame. 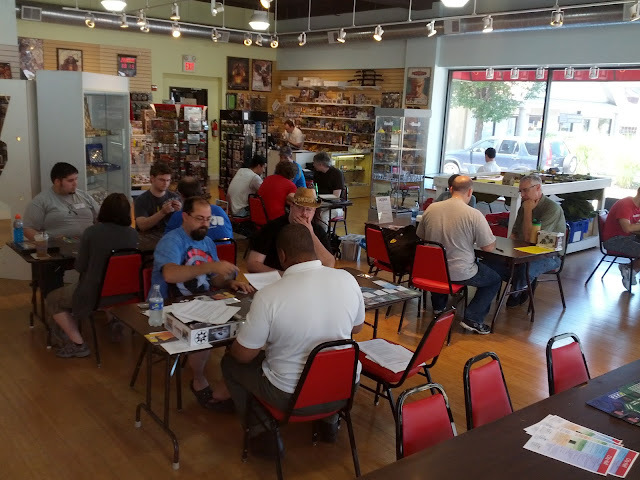 I think that these Unpubs have been valuable and strongly recommend them to any other game designers out there. In the meantime, read this event recap.